Yahoo’s new CEO Marissa Mayer is continuing her tweaking of the critical homepage of the Silicon Valley Internet giant. “Bucket tests” of new iterations are rolling out today to small sets of users across the service, as the company zeros in on launching it widely in the first week of December. This is a massive move and also a risky one. 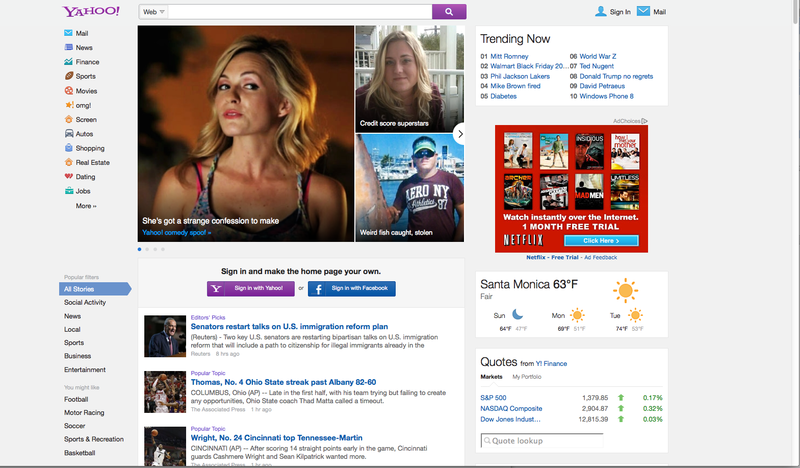 Yahoo’s homepage sees about 170 million daily users who click in to do a variety of things. That huge traffic means that advertising placements earn big bucks from marketers — which inside sources said is typically upwards of $350,000 for a prime placement for a day, rising in price depending on complexity. Thus, making any dramatic change to the powerful homepage is a big deal for Yahoo’s bottom line, especially in the important fourth quarter, when big advertisers spend a lot of money online and expect big results. And the latest versions are certainly a major shift from Yahoo’s older look, with the latest using an interactive tiled approach at the very top that suggests the design spawn of Microsoft’s Windows 8 and Flipboard’s elegant social reading app. 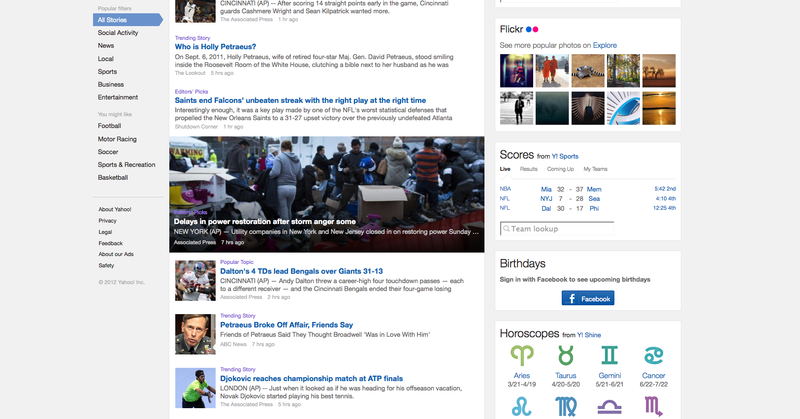 As I noted last week, along with experiments in infinite scrolling, a simplified logo and giving search more prominence, Yahoo’s homepage change seems to be aimed at being consumed on touch-responsive, non-PC devices. That’s no surprise, since Mayer declared in a recent earnings call that Yahoo was going to veer toward a “mobile first” sensibility. “Yahoo will have to be a predominantly mobile company,” she said. She also has to aim at being a reliable digital company, it seems. 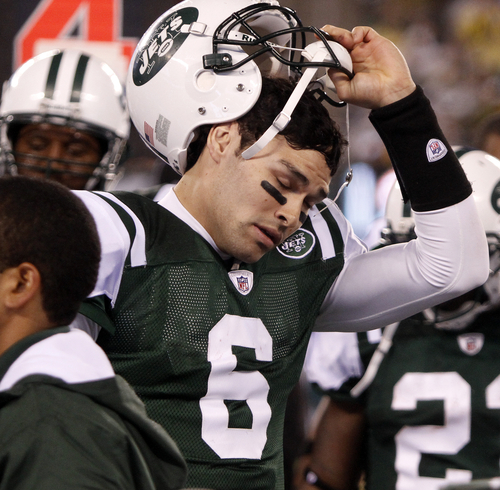 In a bit of unlucky timing — even as Yahoo prepped the home page redo, as well as major overhauls of other products — its hugely popular Fantasy Football offering went down right as eight games were about to start at 10 am PT. 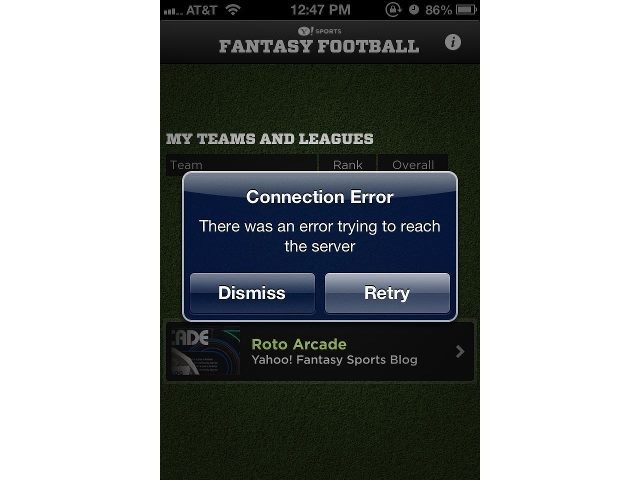 Yahoo Fantasy Football site is down. The Republicans were right; America has officially collapsed. The apocalypse is upon us. 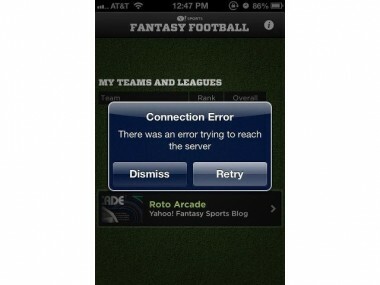 Dear Google, please develop a fantasy football platform. That will end Yahoo! as we know it. Love, Long Suffering Yahoo! Fantasy users. As of two hours ago, Yahoo said it was still working on the problem. 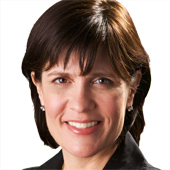 Presumably, it will be the first fix-it challenge for new COO Henrique De Castro, who starts this week. 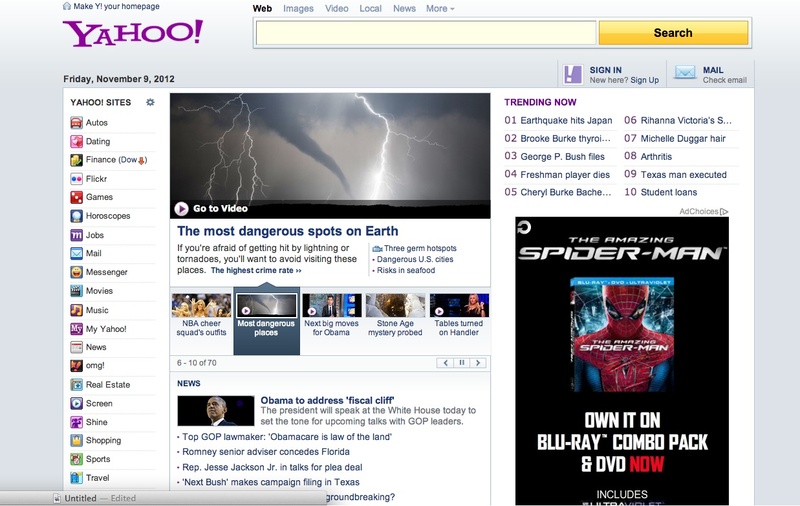 Hopefully, Yahoo will not have such problems with the homepage rollout, once the final version is selected. Until then, please check out two images of yet another version, which is similar — although not the same — as the one I posted last week. In the latest design, for example, the swooshy scroll at the top is smaller and a 300 by 250-sized ad unit is back in place at the top. Overall, it is a little bit more conservative, although still streamlined.